Yeah, I know I'm a product junkie...I'll fully admit that. I always feel like I need to try "the next best thing" even though I'm perfectly satisfied with what I'm using! But what if I miss out on something even better? like moi, are always in the market for something new. While I still love my moroccanoil, sometime you just need to change it up! 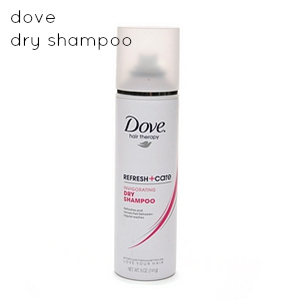 I've always used Tresemee dry shampoo because...well, it's super cheap. Recently, I stopped using it because I could not stand the smell any longer. I don't think it smells badly...but I started to equate it with dirty hair...so I'm just over it. Dove expanded their hair care line and now sells this dry shampoo! It smells awesome, works great and is under $5! Perfect! 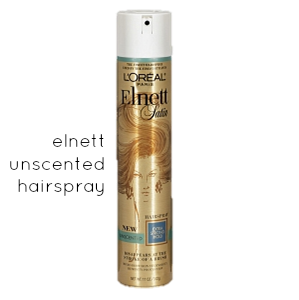 Elnett Satin is my all-time favorite favorite favorite hairspray. I've used this for years, so technically, not a new product - - - however, I've recently switched over to using the new unscented kind. THANK GOODNESS they made an unscented version. The original smells like your grandma's old perfume, but works oh-so-good. And honestly, the unscented kind still has a scent, but it's a pleasant one. If you don't like hairspray but still like a slight hold, this is the product for you! Don't make fun of me...but this next product CHANGED MY LIFE. As silly as that sounds, I'm sadly not kidding. I have naturally curly hair that I straighten everyday. My old hair procedure included blow drying with a flat brush, then running a straightener through pretty much my whole head. It took forever and honestly didn't look that healthy (or good). I now use my straightener on about 5% of my hair and cut my hair-time down to 10 minutes total. All because of this magical hairbrush! You can read all the product information here as well as user reviews but basically here's what it does in a nutshell. Makes your hair look awesome. 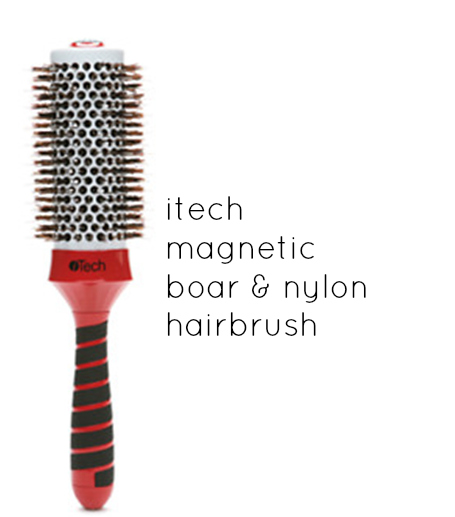 It comes in every size imaginable and is very reasonably priced for brush with boar bristles. As with any product, it may just work better for some than others...but at just $22 it's worth a try, right? Side note: Has anyone tried Teresa Guide's "Milania" line? to be mean, but her hair is not really a look I would want to replicate! Not Your Mother's brand Dry Shampoo is amazing too! It's about $7 and totally worth it. Suave's dry shampoo isn't bad either. Definitely try Moroccanoil Oil Treatment and amika Obliphica Nourishing Mask! Ooh thanks! I've heard about Not Your Mother's but I didn't realize it was that affordable! Next on my list to try! It's an amazing brush! I want to buy it for all my girlfriends as a stocking stuffer! Hahaha! I'm with you on the hair issue I have been struggling with a round brush and I'm excited to try this one out! Thanks Maria K.
It's amazing...I want to buy one for everyone I know!